Flashhider with QD mount for a Yankee Hill can, Forend housing a Surefire light, and a custom 300Blackout barrel made by Paul Reaavis of Gearhead Works. Looks useful to me. Steyr AUG in 9mm, with an Aimpoint on Gearhead Works’ rail which raises it to eye level vs. the lower factory rail. It also allows adding short side rail segments for accessories like lasers. 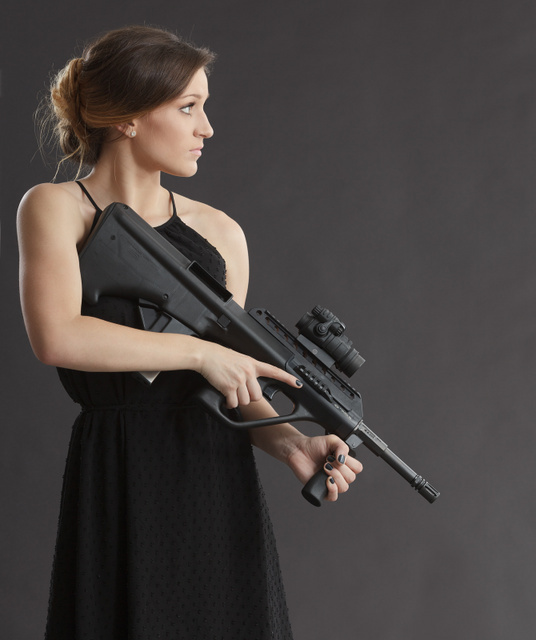 Although it doesn’t look as small, the 9mm AUG is only a couple of inches longer than an Uzi submachine gun while sporting six inches greater barrel length. The AUG is only a hundred grams heavier. Both guns typically use 25 or 32 round magazines, though of incompatible designs. 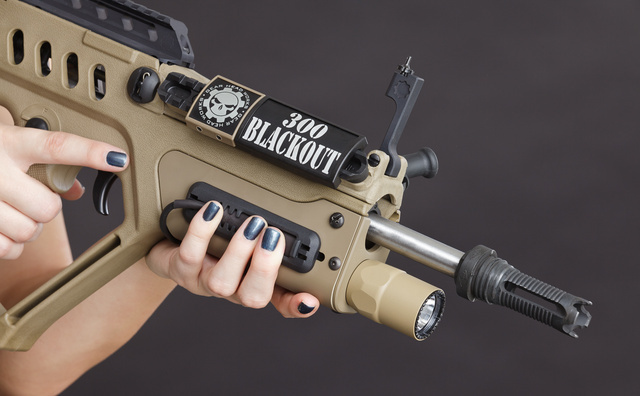 This entry was posted in rifle, sound suppressor and tagged 300BLK, 9x19, bullpup, optics. Bookmark the permalink.